We are studying the semantic indexing method for associating other texts semantically similar and recommending them as an example to the arbitrary sites of the text read and written by a user in this project. Moreover, our subjects include paraphrasing, error correction, and template extraction for sentence generation, with the aim of developing a practical application that assists paper writing in English for non-native speakers. 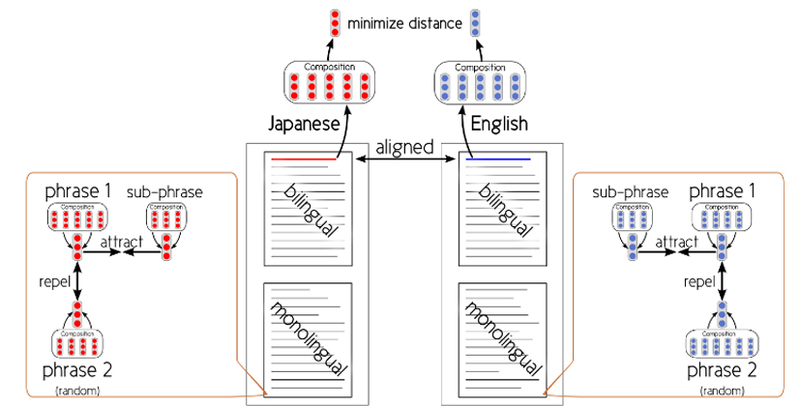 Inclusion criterion and crosslingually constrained word representations.